Music enthusiasts must be quite familiar with Apple’s digital media player application, iTunes, which allows them to play and organize their favourite music or video files. The selling point of this application is it works perfectly well with Apple’s popular iPod digital media player and Apple iPhone either in the Mac platform or the Windows XP/Vista platform. iTune features all useful functions except media updating. Some readers have shared their frustration over this and have been looking for a solution to enhance their iTune to make it detect new tracks in certain selected folders and update/add them to the media library automatically. To get your iTunes to detect and add new songs for you in your music folder in the iTunes library, you could probably try this companion program for iTunes, iTunes Folder Watch. iTunes Folder Watch is a supplement application to Apple iTunes. 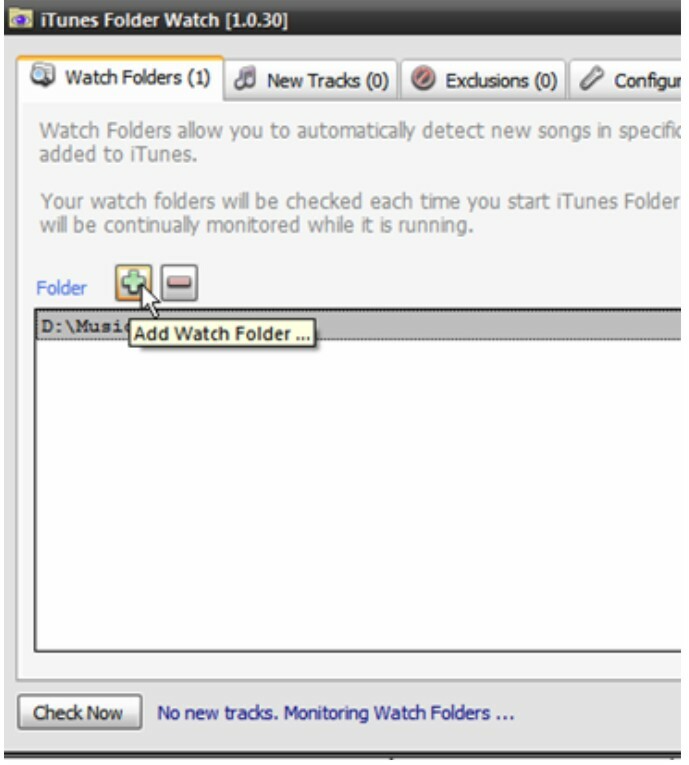 This program allows users to set up a so called “watch folders”. Users can add their preferred folders into a supervision list. The program will monitor the folders in the list periodically to see if there are any new songs from these folders that are not in the iTunes library yet. The program will alert users if there are any new songs. Users can choose to add the tracks manually or automatically. Users can download the iTunes Folder Watch via the link here. The latest and current version is Version 1.0.31. There is a free version for users to try though most useful features are available only in the trial version. If users are willing to pay a lifetime fee of 7.50 Euros, they can get the full version as well. The full version has some added features such as automatically adding new tracks from watch folders to iTunes library (trial version needs to be done manually), removal of nag screens, etc.